The last couple of weeks, we have been doing too many sticking activities as A shows interest in sticking various parts of a particular item and then colouring it. Made-up story: This one is interesting to me. Without any talking, I only asked A what she wants to stick. She said tree. I asked her what shall we put on the tree for which 'monkey' was the reply. Then, she also wanted fish, so, I asked her where the fish would live for which she said water. Then, I stressed upon fish lives in the water and boat goes on the water. 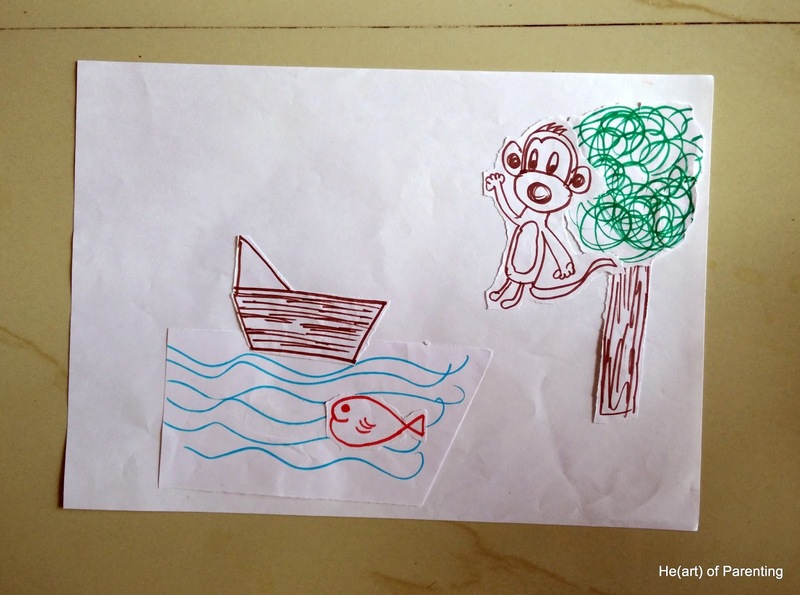 By then, it was time to make-up a story out of these characters while A was completing her activity. Elephant: I roughly drew various body parts of elephant and asked A to stick in appropriate positions. 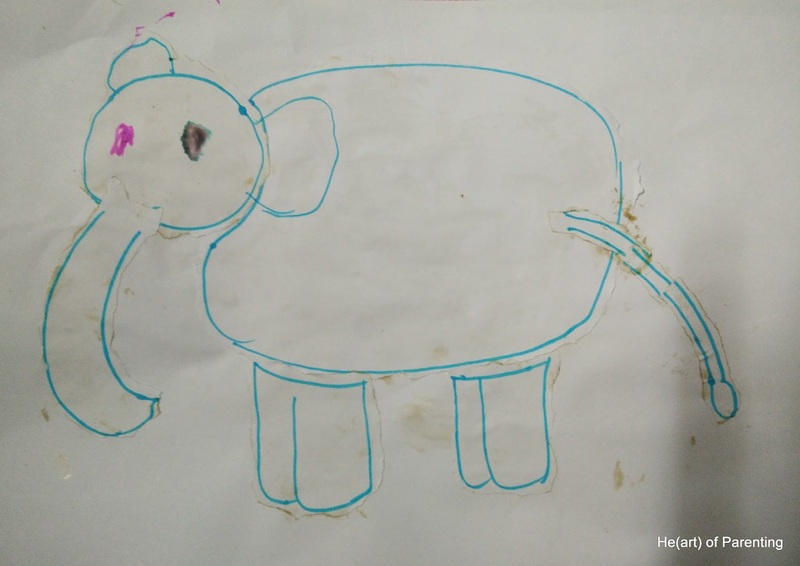 She then drew eyes for the elephant. Train: Again, roughly draw the parts and keep them aside. 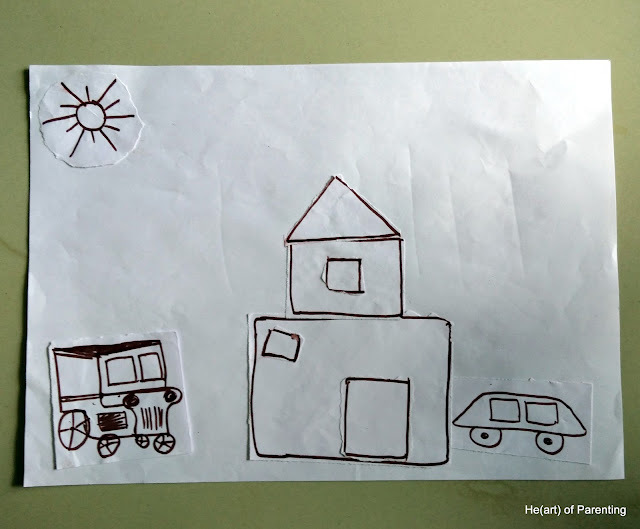 Try to ask some questions to your child like: how many compartments you would like to have for this train? Where do you want the engine to be? Then you can tell her which direction the train is moving depending on position of engine. 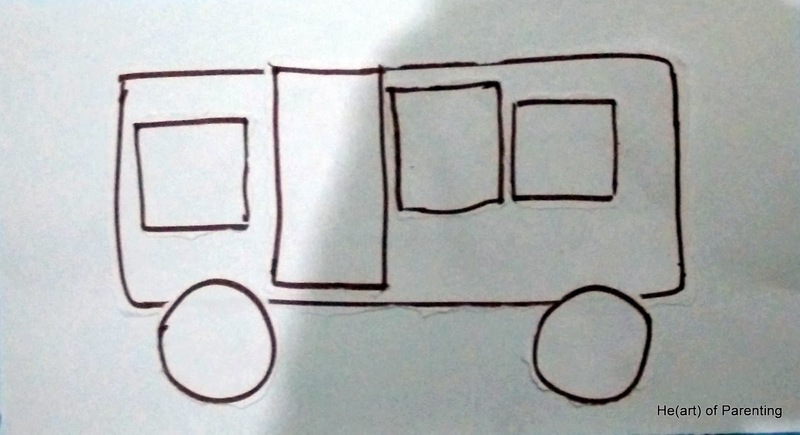 In the end, your child can colour the wheels and join the compartments in a sequence. 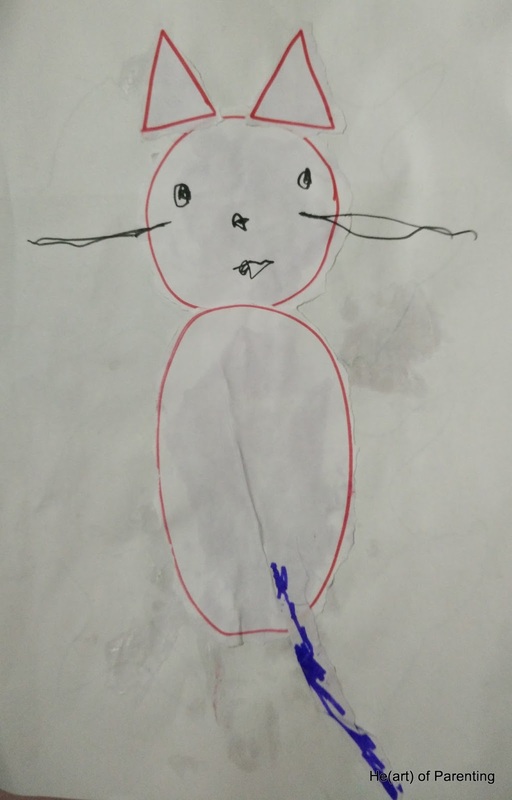 Cat: I roughly drew various body parts of cat and asked A to stick in appropriate positions. She then drew eyes, nose, mouth and whiskers for the cat. She also decided that the cat would have a violet coloured tail. Bus: Again the same procedure as above. Roughly draw various components and ask your child to stick each of them appropriately.